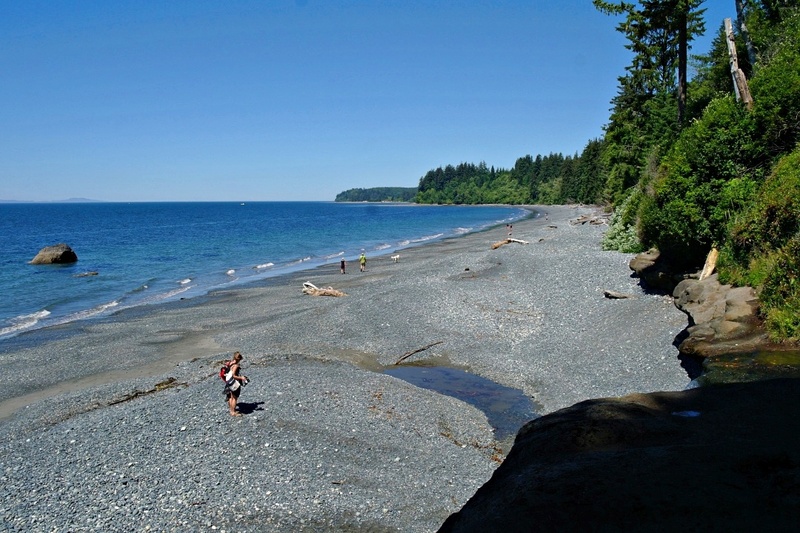 To the west of Victoria on southern Vancouver Island are a series of beaches that collectively make up the 47 km long Juan de Fuca Marine Trail. The terrain of the beaches varies from fine sand to gravel to fields of barnacle-covered boulders. A few of them feature waterfalls that get quite spectacular during the rainy winter months. None of them are suitable for surfing in the ways that the beaches of Tofino and Ucluelet are although I did get a few short runs in at China Beach recently. Mostly I played on the water with my paddle board, periodically accompanied by a curious seal or sea otter sneaking up behind me in the kelp beds. Manic Monday: Blow me down!